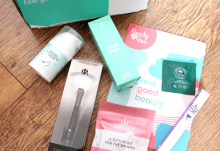 Released bi-monthly, The Vegan Kind Beauty Box is a real treat for any makeup and skincare fan who is serious about only purchasing cruelty-free and vegan-friendly products. The Vegan Kind have done all the hard work for you so you don’t need to read any labels or email companies asking about their cruelty-free status – you can just get on with enjoying the products with a clear conscious! It’s also a great way to be introduced to brands that you may not have come across before and as always, it offers excellent value for money too. 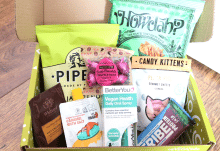 The latest The Vegan Kind Beauty Box arrived earlier this week, so let’s take a look at what’s inside! 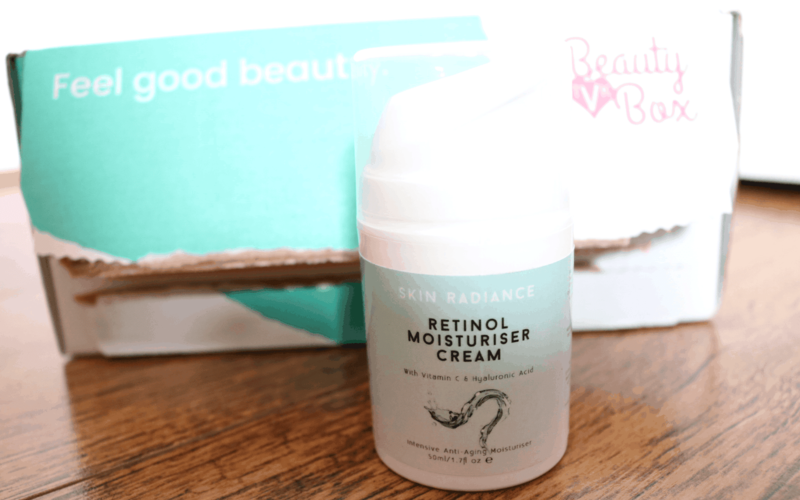 From Skin Radiance, there’s a full-size Retinol Moisturiser Cream which contains Vitamin C and Hyaluronic Acid as well as Retinol so this sounds like a very promising anti-ageing cream to try out! It can be used morning and night, is suitable for all skin types and has a non-greasy formula which absorbs easily into the skin without any stickiness. 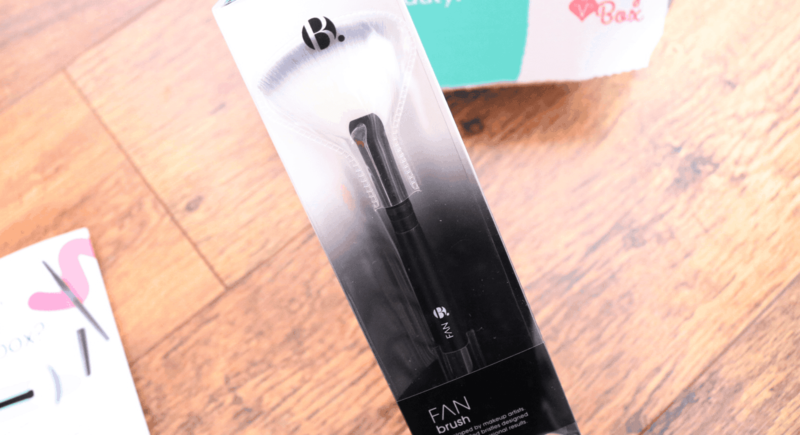 Next up, I found a really cool Fan Brush from Official B. I’m a big fan of this makeup brand (you can find them in Superdrug) and I’m happy to have this brush to add to my growing collection of makeup tools. Fan brushes can be used to apply setting powders, blushers and bronzers, so it’s a very versatile piece if you enjoy playing with makeup like I do. 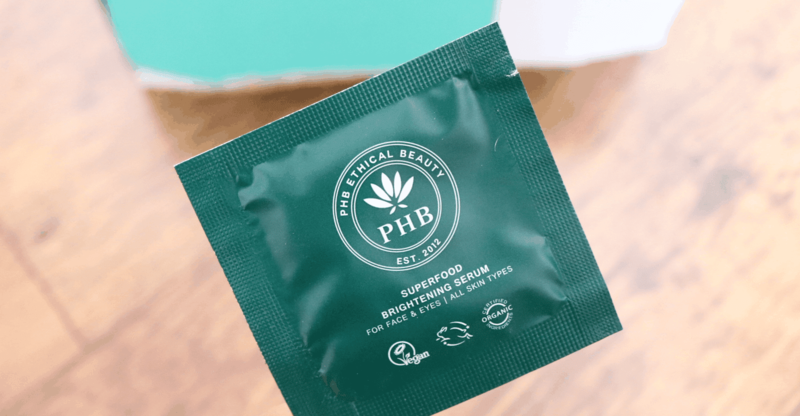 This little sachet sample was tucked away in the corner of the box and comes from the British brand, PHB Ethical Beauty. Their Superfood Brightening Serum is designed to deeply penetrate the skin to help plump, firm and brighten which sounds good to me! 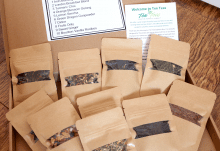 It’s packed full of essential vitamins and antioxidants to leave your complexion glowing. I’m a bit of a lip liner addict so I was thrilled to see this one from CODE Beautiful who are a brand that I haven’t heard of before. This award-winning, self-sharpening liner is a clever 3-in-1 product as you can use it as a liner, lipstick and as a lip plumper. I love the shade which is a gorgeous, easy to wear soft neutral pink and it glides on effortlessly without dragging. A new fave for sure! Worth £24 on its own, this full-size Prime Time Facial Polish from BYBI Beauty is your secret beauty weapon when you want to achieve a perfectly flawless and smooth complexion for your makeup. Formulated for normal, dry and sensitive skin types, this face scrub cleanses, exfoliates and preps the skin, whilst unclogging pores and removing general dirt and grime. 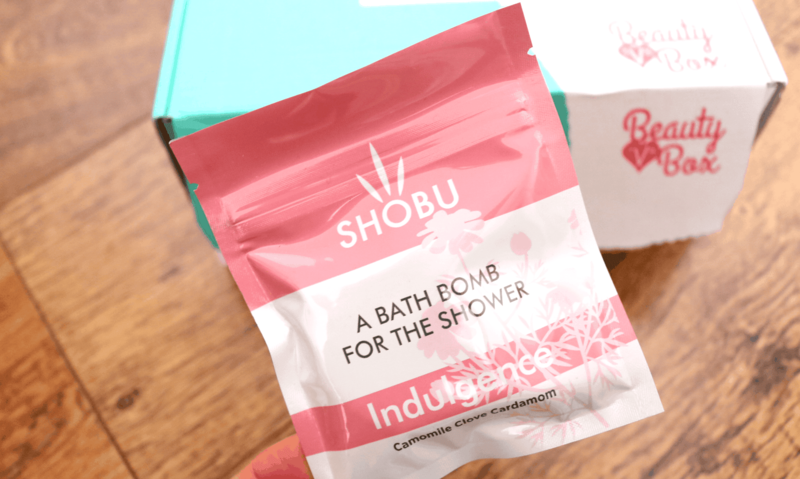 The last product is a little strange – it’s a bath bomb, but for your shower! Designed to help you create a spa-like environment in your shower, the bomb is infused with an aromatic blend of Chamomile, Clove and Cardamom to bring a sense of calm. Just place it on the shower floor and enjoy the relaxing aroma. 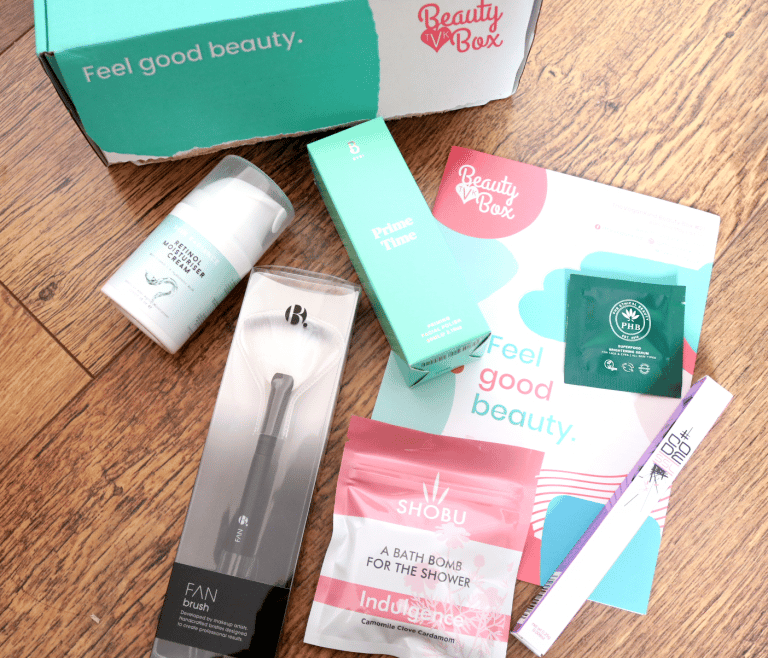 A great beauty box from The Vegan Kind with lots of new products to enjoy and try out!